Morgan Lumb (22 points) launches a triple. She made four of them in the game. 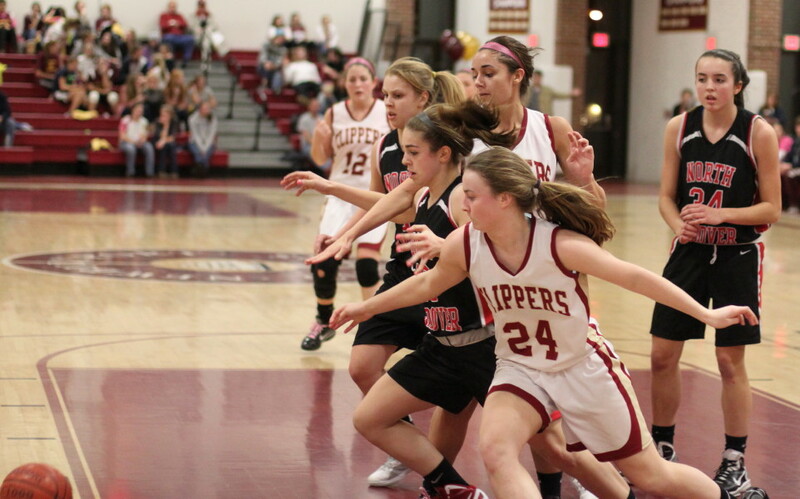 (Newburyport) North Andover started NASCAR fast and left Newburyport in the distant dust while cruising to a 47-36 win at NHS on Friday night. 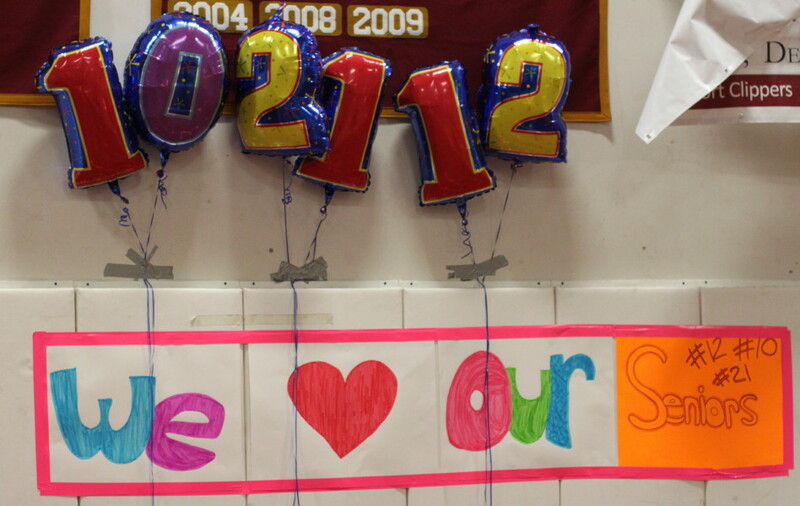 Prior to the Newburyport’s final regular-season home game, the Clippers recognized their three seniors (Beth Castantini, Molly Rowe, and Cady Bennett) and their parents. That was the last celebrating the home team would do. 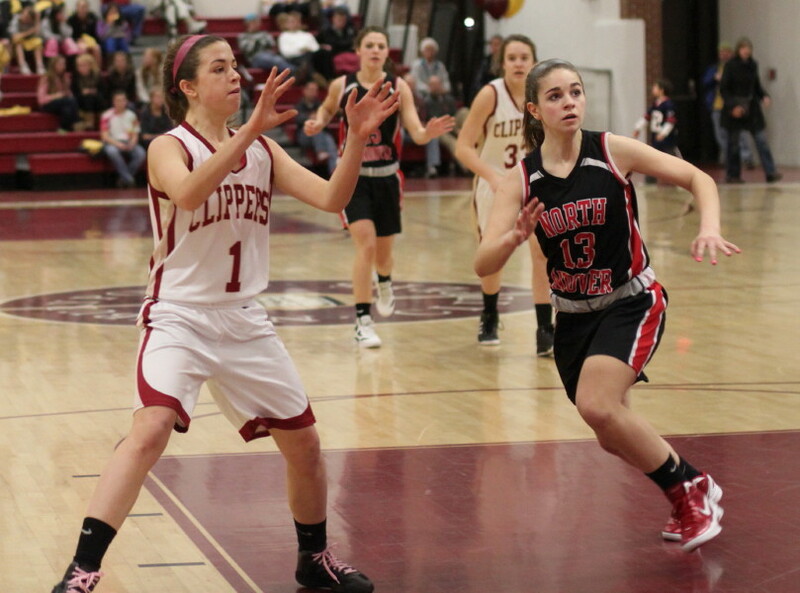 The Knights shut down Newburyport for the opening six minutes and were up twelve zip. NA hit the Clippers hard on both ends. Their trapping and scrapping wrecked any kind of flow toward Clipper scoring opportunities while on offense their passing and cutting gave great looks. NHS coach Gregg Dollas went through two quick timeouts with the volume in the huddle much louder in the second one. After the noisy timeout the Clippers put in their best six minutes of play in the game. 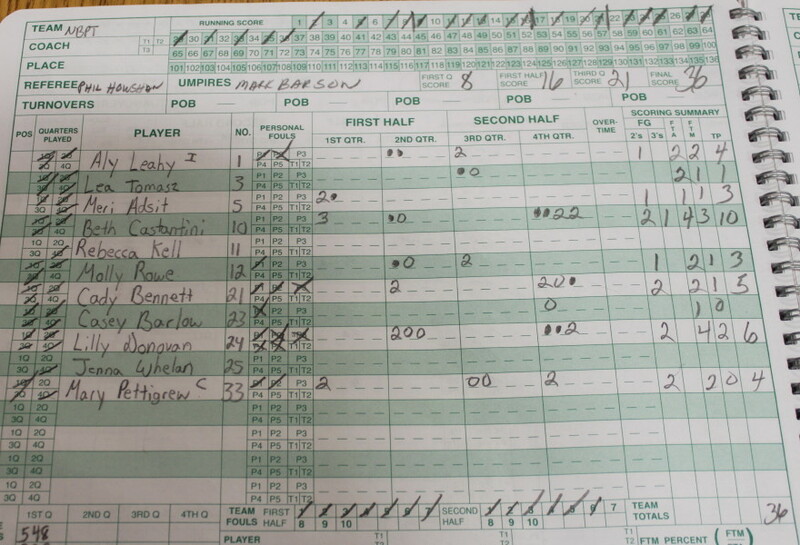 They outscored the visitors, 16-7, and trailed only, 19-16, with four minutes to go in the first half. The key to the good play was getting points from seven different players. 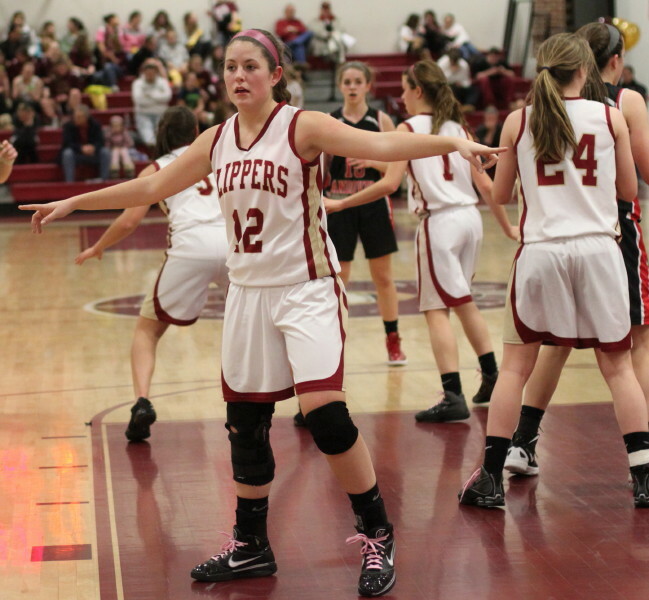 Meri Adsit had an old-fashioned 3-point play assisted by Molly Rowe to highlight the Clipper surge. As the points rolled up, it was North Andover coach Susan Breen using a timeout to try and cool off Newburyport. 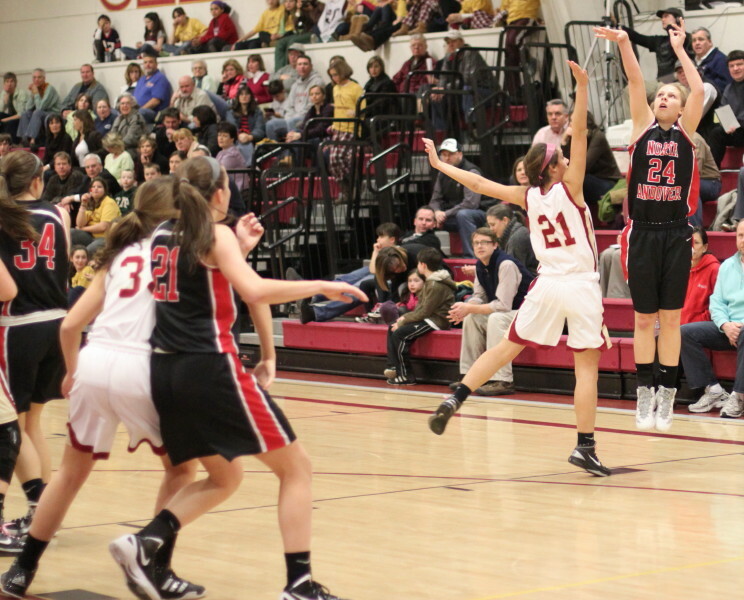 Leah Chittick (12 points) flies in for a layup. And did the Clippers cool off. It was like the disastrous beginning of this game all over again. NA rattled off seven straight to end the first half (26-16) and their run wasn’t finished. 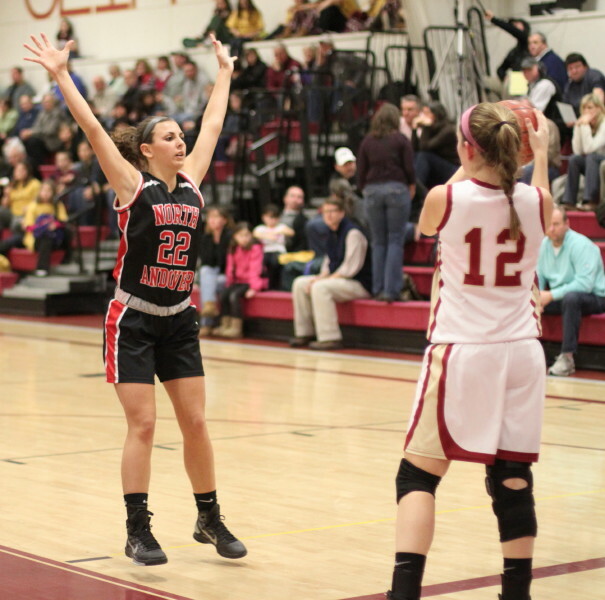 The third quarter saw NA’s Morgan Lumb put on an awfully good Brooke Stewart (Masco) impersonation, dropping fifteen of her game-high twenty-two points on the stunned Clippers. 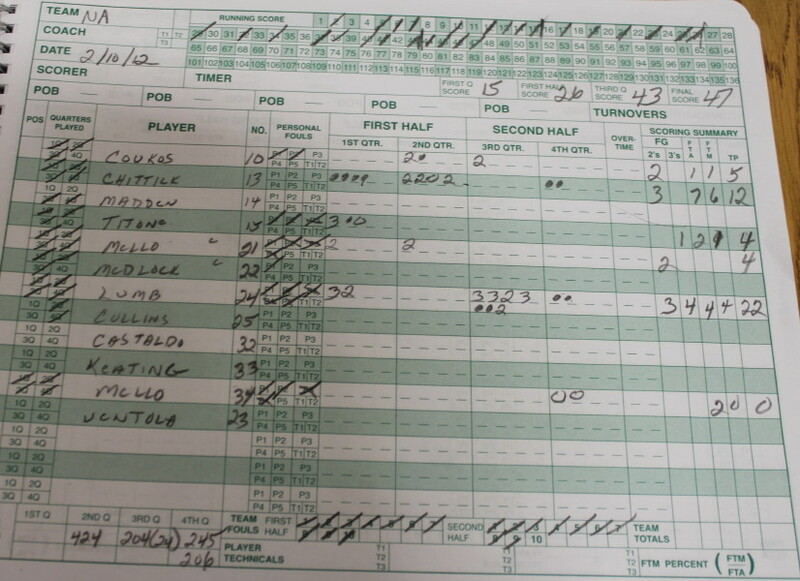 There were three triples, a nifty spin down the lane, a turnover turned into a layup, and two free throws. Dazzling display by the junior! The Clippers found themselves behind, 43-21, after three quarters. The final score of some games is misleading and this is certainly one of them. NA got up, 45-21, fifteen seconds into the last quarter and didn’t get any more points until the very end, as liberal substituting kicked in for both teams. The Clippers put together a collection of fourteen unanswered points but never got closer than ten. Newburyport (11-6) has all road games left starting Monday night with arguably the best team in the league, Pentucket, at Pentucket. The Clippers have now lost three straight and need to find some positive traction before the Division 3 state tournament starts. 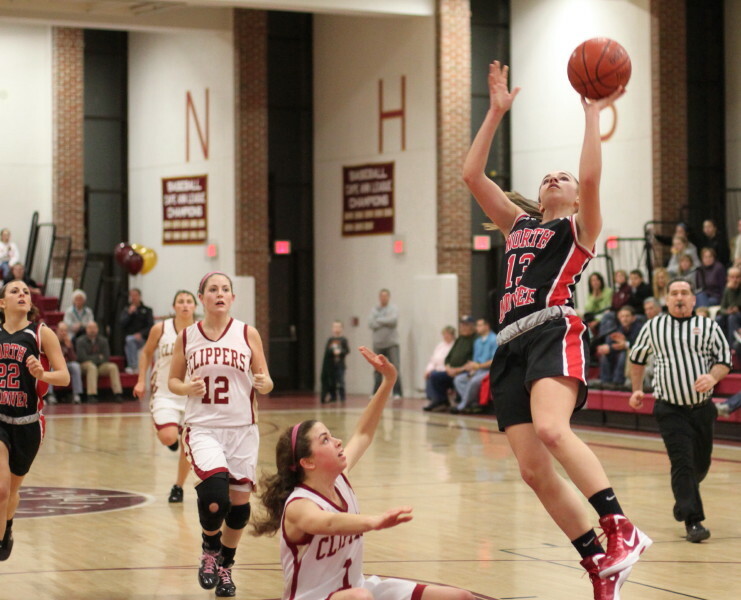 North Andover (10-6) qualified for the Division 2 state tournament with the win over Newburyport. Their record is a bit deceiving since they lost to the best girls’ team in the state (Andover) twice this season. The Knights next game is versus Triton at home on Tuesday night. 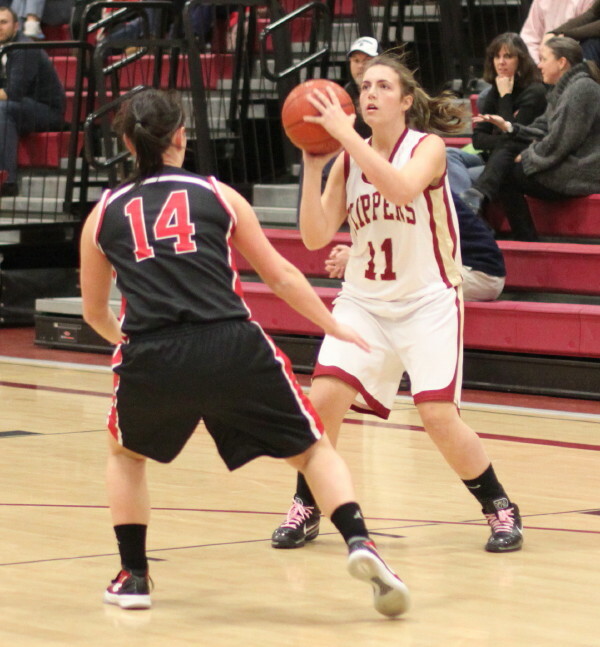 Freshman Leah Chittick had twelve points for the Knights. 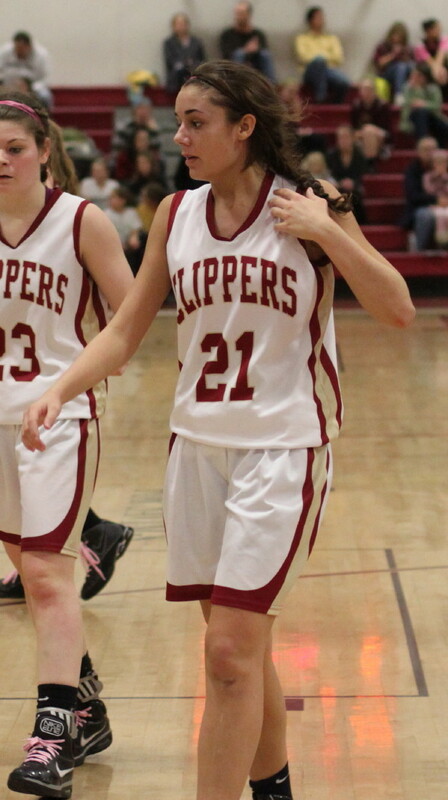 Beth Castantini (10 points) led the Clipper scorers. 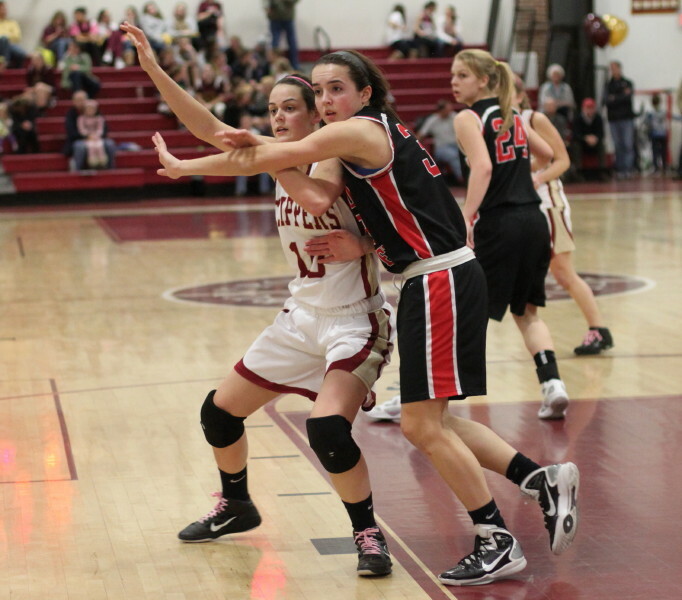 Lilly Donovan had six points and had the unenviable task of chasing Morgan Lumb around for a good part of the night. I had hoped to get a picture of the seniors with their parents but it just didn’t work out.